The best part of a road trip is not knowing where you’ll end up. What started out as a 14 hour drive from Kansas City to Arches National Park in Utah quickly turned into a 30 hour trip to one of Canada’s most stunning national parks, Banff! As a Canadian student studying abroad I have a passion for being surrounded by nature’s most precious gifts. 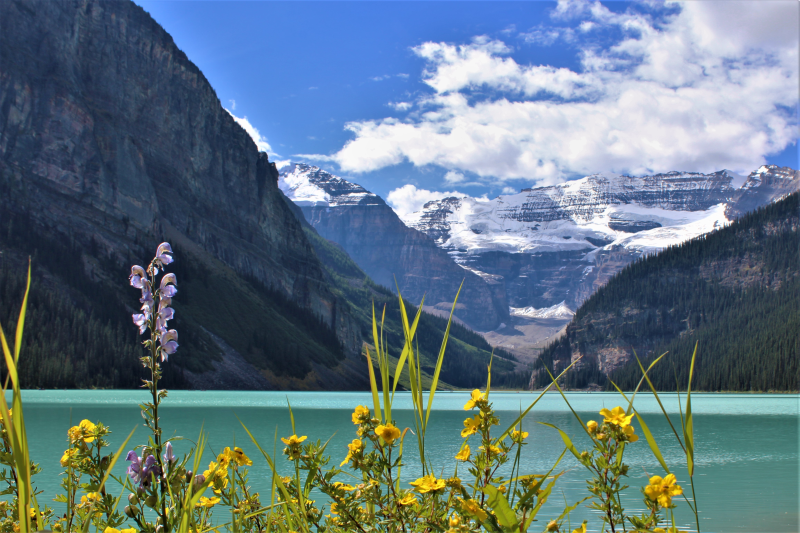 That gift, as seen in this picture is Lake Louise with the majestic Canadian Rockies in the background. This picture was taken after hiking the Plain of Six Glaciers Trail to Abbot Pass and back. It was a strenuous and exhausting hike but truly offered spectacular views of the Glaciers.